NEW MIXES 2017: https://hearthis.at/djalexstan/ On air on Radio VivaFm (www.vivafm.it) every night 11PM Italy On air on Radio SpaceFm (www.spacefm.ro) every Friday 8PM Romania WINNER of "Radio VIVA FM Dj Competition 2014" CONTACTS & BOOKING: info @ djalexstan .com www.facebook.com/djalexstan BIO: Alex Stan is based in Italy's most-northern city, Bolzano Bozen, where he is active as resident DJ in the most important & renowned clubs (Mirò Club / Disco Okay / BellaVita events). His sounds are thrilling selections which stretch from refined deep and house music, till the main electronic and progressive motifs, with a special imprint of his own with live mashups and exclusive remixes. His career started in 2005 with his first live performance and the first remix productions that landed soon on air on big national radio stations like Radio Deejay. In 2007 he began collaborating with the national nr. 1 dance network "M2O" (www.m2o.it with aprox. 1,5million listeners per day) bringing his support and creativity in several programmes, getting noticed by many. From then onwards, he continued emerging around with many gigs at renowned clubs and exclusive situations like beach parties, city square parties, castles, and much more. In 2010 he entered the Uni-Party(www.uni-party.it) project of the University of Bolzano Bozen, where alongside a talented team, he contributed in the organization of amazing themed-parties on a weekly regulard basis and in special moments of the year, such as during the legendary SNOWDAYS (www.snowdays.it) and inside the university building. 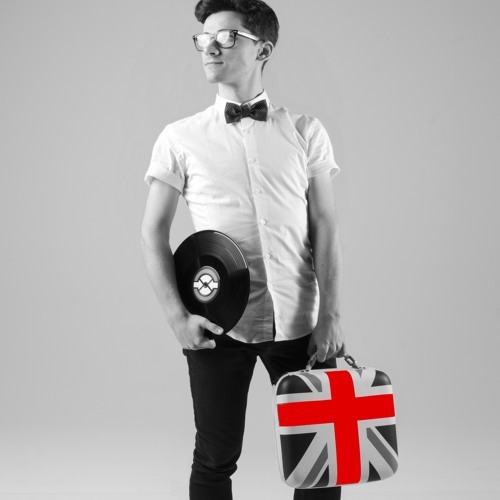 In May 2014 he won the most important DJ Competition organized by Radio VivaFm (www.vivafm.it), where is currently part of the staff as DJ in the program #VivaByNight on air every night. He is currently working on various original music productions, planning a debut album during 2017. Plenty more info, tour-dates and media are available at: http://www.facebook.com/djalexstan Keep on loving & raving!